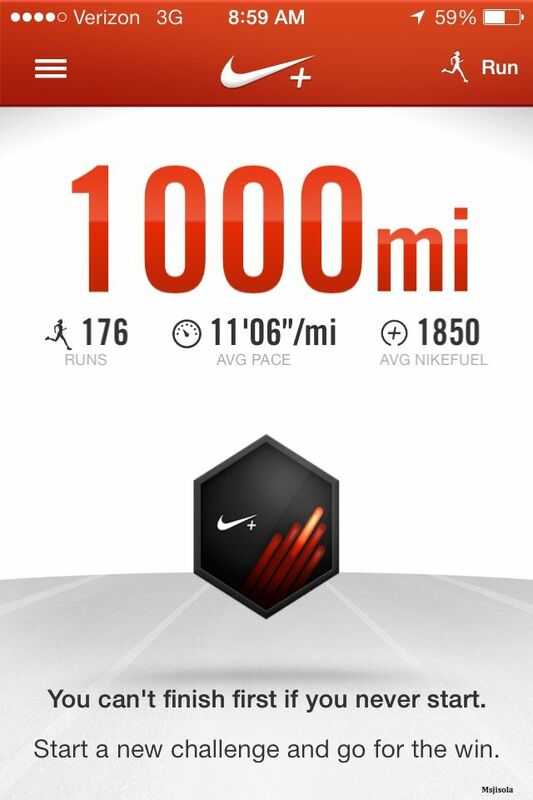 1000 miles run and done! For years, I would keep it simple with interval training. I would run for a bit, walk for a bit. I would add inclines while I walked and then sprint real hard when I came back down. 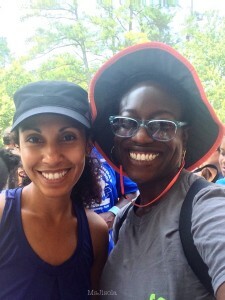 This was hard, but nothing prepared me for endurance running. Just running two blocks to catch my bus I was out of breath, therefore running for long distances were not my thing. I also have mild asthma, which goes up and down depending on the weather. 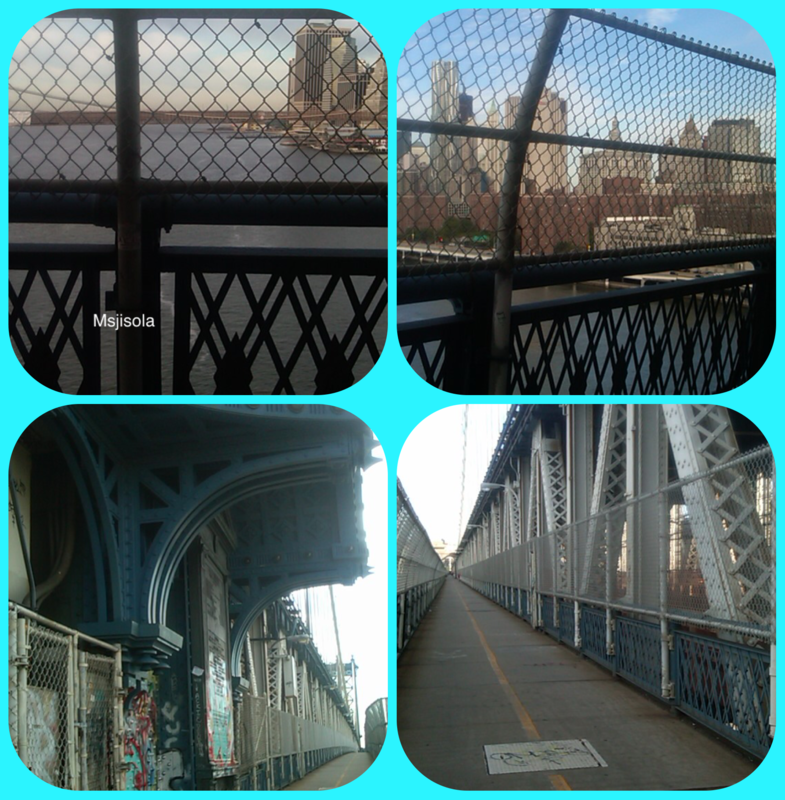 When I moved to Brooklyn, September 2010, I figured I live by a park, why not do run/walk intervals? Each time I went out, I would run a little farther, to the next traffic light (cars are allowed in Prospect Park). Then I told one of my friends, Yolanda, about my running and I’ll never forget what she told me: Keep running until you get to the end and don’t stop. Well you can imagine what that did for my thought process. That is always in the back of mind when I run, box, or any type of exercise. I need to apply it to the rest of my life. It’s a great mantra! Thanks Yolanda! Hanging out in the park! I took a break from running during winter 2010/2011 and picked back up the following spring in April. The runs weren’t easy but they got better. 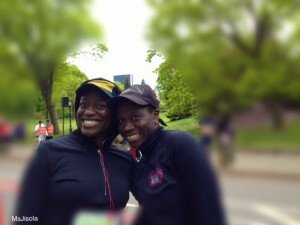 Through my sister Su, I joined Black Girls Run!, an awesome group geared toward motivating women of all colors to run. I can honestly say I enjoy running! Since I run in the park, the trees, the semi-clean air, the greenery, the way the sun shines through the trees in the early morning hours. It’s so refreshing, calming and de-stressing. Early on I ran with out music. Now I run with music to keep track of my runs and focused, but I still enjoy my environment. 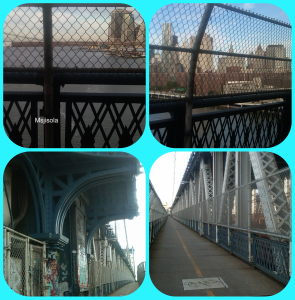 First time running on the Manhattan Bridge! As I continued running through 2011, I learned how far I could go, what it felt like running through the summer, fall and winter. Then I remembered my sister talking about this marathon she’s running, not realizing what she was about to undertake. 26.2 miles? Who does that? Well, apparently my sister! I missed her twice in Brooklyn but finally caught up to her in Manhattan towards the end. The whole marathon was amazing and inspiring, watching all the runners. But when I saw my sister, words can’t explain the feeling! To see her running, knowing the miles she covered, speechless! I just hugged her hard and let her go to finish the marathon. My 2nd NYRR race in Central Park! So the question is will I run a marathon? Yes, I did in 2013!!! More on my experience on qualifying and the training in another post. Sound off: do you run? Do you enjoy it or do it because you have to? How did you get started? Any running goals to you would like to accomplish? What is your favorite thing about running?